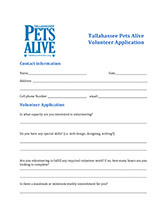 Florida Pets Alive Pet Adoption Networking Program which is available to all Rescues and Shelters in the area. We will help Network your Pet if you continue to Home and vet your Pet. • Facebook Page with over 4,000 F B Friends. 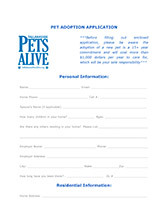 • You will process any Applications on your Pet and you will collect your regular Adoption Fee. • Please email us a 1 pager on the Pets you want to add to the TPA Pet Networking Program so we can post and copy for the Pet Adoption Event. Please include direct contact information and your Adoption Fee on the 1 pager. 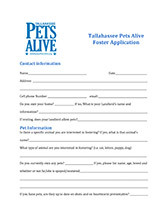 The Pet Adoption Networking Program through Florida Pets Alive is available to all Rescues and Shelters in the area, trying to increase the Adoption of pets as long as the current Rescue or Shelter promise to continue to Home and vet their Pet until they are Adopted and for Shelters commit not to kill any Pet that they put into the FPA Pet Networking Program. Please consider #donating local by clicking on the donate button. Florida Pets Alive Inc. is a 501 (c) (3) Non Profit Corporations. All Contributions are Tax Deductible. We are an all-Volunteer Group so ALL Donations and Fees go to Vet and Care for the Pets. The First Saturday Pet Adoption Event is coordinated by Florida Pets Alive Inc.; we are available to work with all rescues, shelters and individuals in the area to increase the adoption of pets.